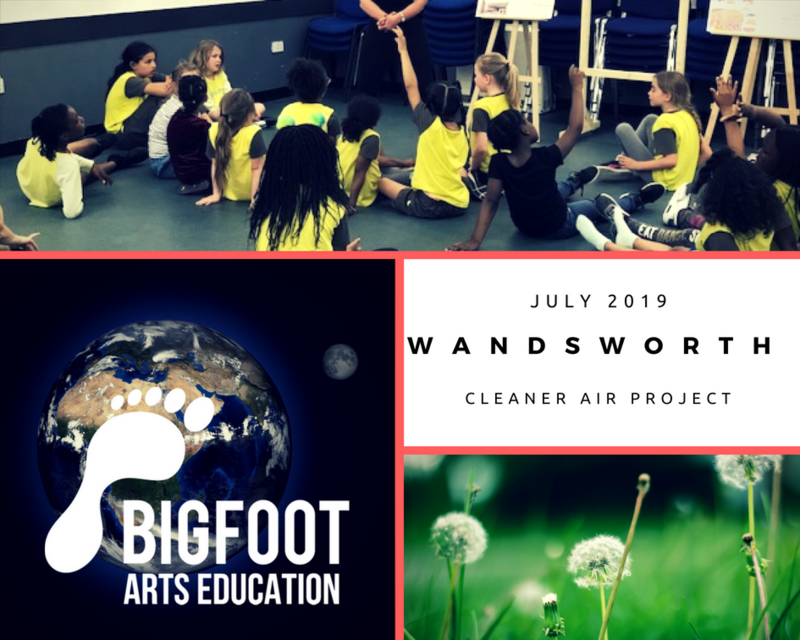 Bigfoot was commissioned by Wandsworth Regulatory Services Partnership in June to create and deliver a series of interactive assemblies and workshops in schools and community groups across the borough in celebration of Clean Air Day 2018. The aim of the project was to encourage children and their families to consider the impact the everyday decisions they make have on the environment and to pledge to make more positive choices in the future. And, as expected, it was a resounding success, with high praise flooding in from several of the schools and community groups that took part! “This project has gone down so well with everyone who took part. However, I think what’s been really significant throughout is that the children in every school I visited already knew about the subject matter and were fully aware of how we should be caring for our planet! They were full of personal knowledge on the subject and so passionate. It was amazing to feel inspired by them and to see that the younger generation are making choices daily to help our clean air and, essentially, help save our planet.